WineKeeper Basic Argon Keeper (P/N 7761). 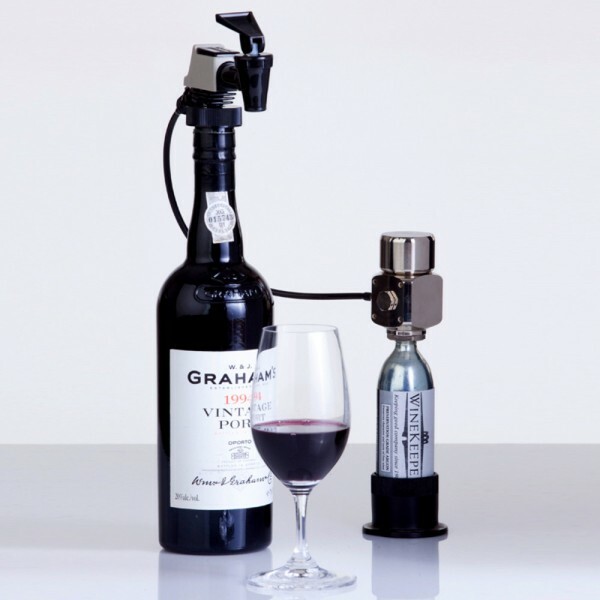 An affordable and easily portable dispensing system, The Keeper uses a pressurized blanket of argon to protect wine from oxidation and spoiling. Add more bottles under its protection by expanding The Keeper with additional stopper faucets. Whether in a commercial kitchen or protecting wine in the home, the system can adapt to your needs. It is a split system and can fit a 750ml up to Magnum bottle, depending on the size of the neck.